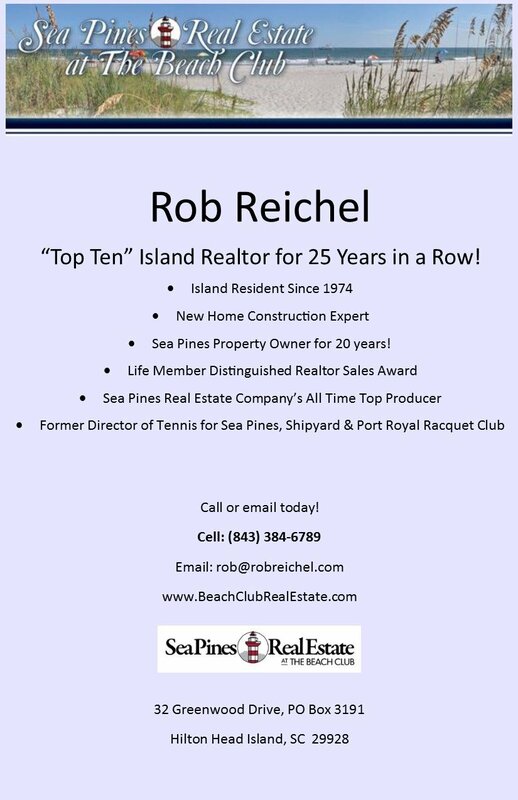 If you’re looking for someone to help you achieve top dollar for your Hilton Head real estate property in the South Carolina Lowcountry, you can find Rob at our Beach Club Office in Sea Pines Plantation. You gain a tremendous advantage with Rob, plus …. 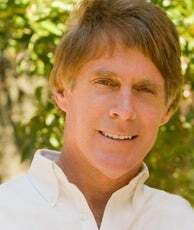 PERFORMANCE You expect a Hilton Head real estate agent with a proven track record – Rob has been the #1 Sea Pines real estate agent for Sea Pines Real Estate Co. for 6 of the last 9 years. Rob thoroughly enjoys the challenge of finding the right buyer for your home, villa or lot. He uses his skills to make this match a reality for you. Rob understands this is a delicate time for you and works to make your Hilton Head real estate transaction as enjoyable as possible. He gives you the results you want and deserve. UNDERSTANDING You want an agent who identifies with you. 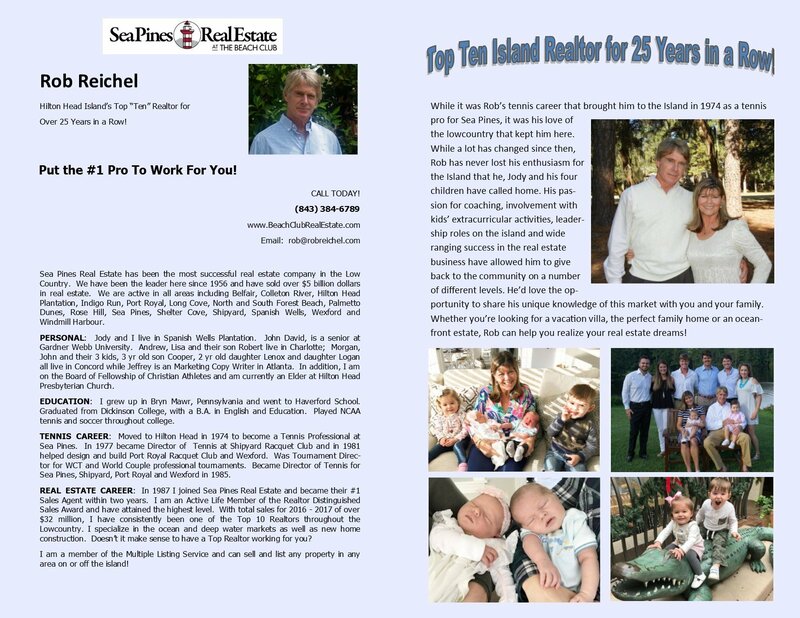 Rob’s special empathy for you is sincere because of his experience in Hilton Head real estate as both an agent and as a customer/client and his love of Hilton Head. This gives him a special blend of knowing what you want and how to help you obtain it as easily as possible. Rob helps you accomplish your goals. This makes buying or selling your real estate property an enjoyable process. KNOWLEDGE You deserve a knowledgeable agent who works for you. 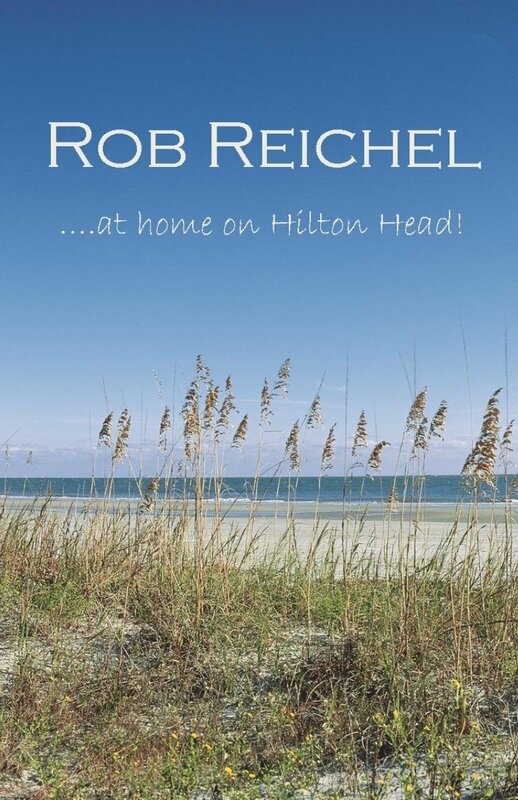 For the past 30 years, Rob has lived on Hilton Head. He knows this market. He receives 80% of his business from referrals because of his high degree of integrity and honesty. Rob enjoys continuing his real estate education so he can better serve you. MORE ABOUT ROB As a Hilton Head real estate professional, Rob is a Life Member of the Realtor Distinguished Sales Award and earned his company’s Compass Rose Award for #1 in company sales for 6 of the last 9 years. When you need the best in personal and professional service, call Rob for all your Hilton Head Island real estate needs.